Yahoo! Inc. (NASDAQ: YHOO) is scheduled to release its second-quarter earnings after the closing bell on Tuesday, July 19, 2011. Analysts, on average, expect the company to report earnings of 18 cents per share on revenue of $1.11 billion. In the year ago quarter, the company reported earnings of 15 cents per share on revenue of $1.13 billion. Yahoo! Inc. provides online properties and services to users; and marketing services to advertisers worldwide. Yahoo! Inc., together with its consolidated subsidiaries, attracts hundreds of millions of users every month through its innovative technology and engaging content and services, making it one of the most trafficked Internet destinations. 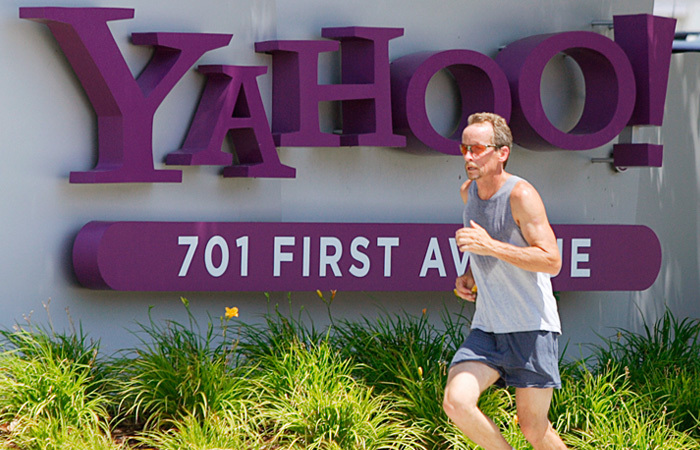 The company generates revenue by providing marketing services to advertisers across a majority of Yahoo! Properties and Affiliate sites. In the preceding first quarter, the Sunnyvale, California-based company's net income was $223.0 million, or 17 cents per share, compared to $310.2 million, or 22 cents per share, in the prior year quarter. On an adjusted basis, the company earned 19 cents per share in the first quarter. Revenue dropped 24 percent to $1.214 billion from $1.600 billion in the same quarter last year. Analysts, on average, expected the company to report earnings of 16 cents per share on revenue of $1.06 billion. At its last earnings call in April, the internet giant said that it anticipates second quarter GAAP revenue of $1.230 billion to $1.290 billion, and revenue ex-TAC of $1.075 billion to $1.125 billion. Income from operations are expected in the range of $160 million to $190 million for the second quarter of 2011. Yahoo CEO Carol Bartz has shut underperforming businesses, cut costs and has continued to improve its products, such as its home page and e-mail service. Last month, the company said that it plans to shut down several products, including Yahoo Buzz and Traffic APIs, in the coming months as part of restructuring, the internet portal. Bartz has sought to streamline operations and has set a target of reaching a 24% operating margin by 2013. However, Bartz's turnaround strategy so far hasn't panned out the way investors hoped when Yahoo hired her to replace co-founder Jerry Yang in January 2009. Yahoo has also sought to focus more on its online display advertising business and other services, while outsourcing the inner workings of its search service as part of a revenue-sharing arrangement with Microsoft Corp. (NASDAQ: MSFT). According to the arrangement, Yahoo will share 12% of the search advertising revenue with Microsoft, while Microsoft will bear most of the associated expenses. However, the company is facing stiff competition from social networking services like Facebook, which are attracting greater numbers of online visitors and advertisers. The company has been getting outhustled and outsmarted by Google Inc. and Facebook in the race for Internet advertising. By the end of this year, Yahoo's share of the $31 billion online ad market in the U.S. is expected to be 11 percent, down from 16 percent in 2009, according to the research firm eMarketer. Google's share is projected to be nearly 41 percent (up from 35 percent in 2009) and Facebook's share is forecast at 7 percent (up from 2.4 percent in 2009). Shareholders are also worried that its more than 40 per cent investment in China’s Alibaba Group is being diluted, because that company has sold off leading Chinese payment processor Alipay to a group controlled by Alibaba founder Jack Ma on uncertain terms. Negotiations between Yahoo, Alibaba and Alibaba’s second-biggest shareholder Softbank are making substantial progress, the three said in a joint statement this week.